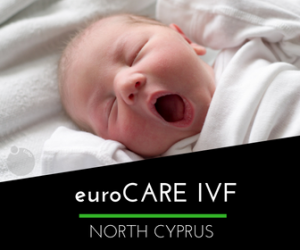 Our dedicated specialists at euroCARE IVF in North Cyprus have introduced a number of innovations in the treatment of infertility, and have been on the front line in defining standards of fertility treatment and accountability in fertility care. Led by expert fertility specialists, Dr. Armağan Ulubaş. we are committed to providing forward-thinking reproductive technology in a sensitive, compassionate, and distinguished environment. Intrauterine insemination (IUI) is a fertility procedure in which sperm are washed, concentrated, and injected directly into a woman’s uterus. More recently, IUI has become an option for many couples prior to considering more complicated and expensive assisted reproductive treatment such as in vitro fertilization (IVF). IUI increases the number of sperm in the fallopian tubes, where fertilization takes place. The cost of IUI at euroCARE is extremely cost-effective. More and more Individuals choose IUI because the procedure allows the fertilization to happen naturally inside the body. The IUI procedure is simple and may be performed even if the woman is not receiving medication to improve her egg production. However, our euroCARE IVF doctors encourage women to take medications to stimulate the ovaries in order to increase egg production – and the chance of achieving pregnancy. An ultrasound will be used to monitor the size of the follicles (within the follicle is the developing egg). Medications are administered to stimulate the release of eggs from the follicles after 35-36 hours. Our advanced IUI procedure involves the washing of sperm to obtain the best quality sperm. A thin, soft catheter is used, connected to a syringe that contains the washed sperm. The catheter is used to inject the processed sperm directly into the uterus at the time of ovulation. This process maximizes the number of sperm cells that are placed in the uterus and thus increases the possibility of conception. IUI at euroCARE increases the chance for pregnancy by increasing the number of eggs released per cycle, and increases the number of sperm that reach the upper reproductive tract. We can also include our sperm sorting technology as part of an IUI treatment cycle, however no sperm sorting alone is 100% accurate. If you are looking to balance your family and have your heart set on a little boy or girl then gender selection using PGS treatment is advised. If you have any questions about the treatment, please connect with one of our Patient Coordinators. euroCARE IVF is a center driven by a team of dedicated IVF specialists who are passionate about helping couples and individuals build their families.